February's First Friday Picture Show features the artwork of Minnesota artist, brewer, and fly-fisher Jake Keeler. Jake has a background in fine arts, with an MFA in Painting and Drawing and years of exhibitions under his belt. He started his professional career as an artist and college professor, then transitioned to pursue a career in homebrewing/craft beer, and now does a lot of both. These two pursuits make up ⅔ of his “character-trifecta.” Fly-fishing occupies the other third. He's been fishing almost as long as he's been drawing, so the two have gone hand and hand, year after year. The making, and drinking, of great beer came a bit later, but weaves itself into all paths seamlessly. Along with family, these three things are what make him tick. Jake resides in St. Paul MN with his wife, his son, two cats and cold, but functional, basement studio/ brew cave. 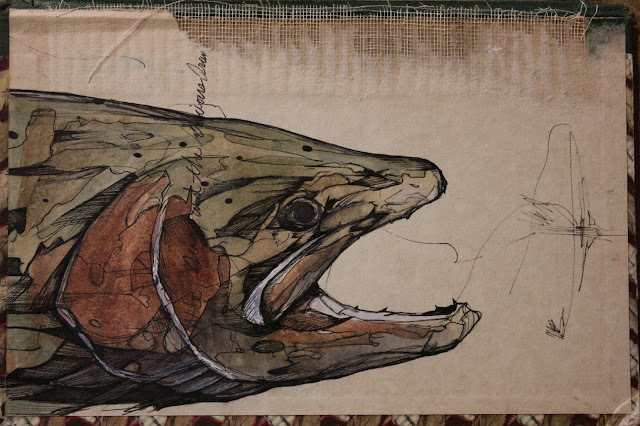 To see more of his work, and to occasionally find out about his adventures in fly-fishing and homebrewing, go to: www.20acrecarcass.com. 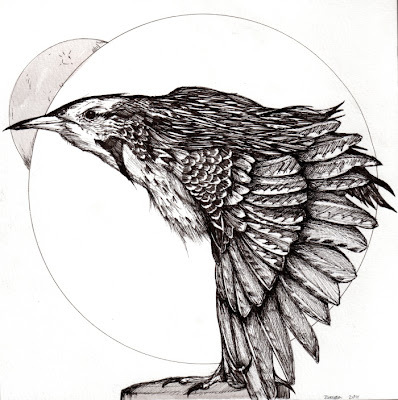 Enjoy more of Jake Keeler's artwork at www.20acrecarcass.com. Great show this month - love the artists! Beautiful work! I would love to see the murals in person.